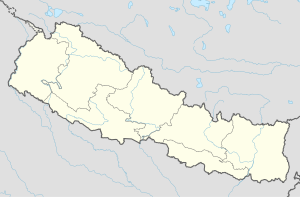 Bahundanda is a village development committee in Lamjung District in the Gandaki Zone of northern-central Nepal. At the time of the 1991 Nepal census it had a population of 2114 people living in 433 individual households. ^ "Nepal Census 2001", Nepal's Village Development Committees, Digital Himalaya, archived from the original on 12 October 2008, retrieved 15 November 2009 . This Gandaki Zone location article is a stub. You can help Wikipedia by expanding it. This page was last edited on 15 June 2017, at 14:47 (UTC).